On August 14 during the celebration of 69th Naga Independence Day at NSCN(IM) council headquarters at Hebron in Nagaland, its General Secretary Th Muivah rejected "rumours" that the outfit was backtracking on integration and sovereignty. Demanding that the Centre should make public the Naga Peace Accord, Assam Chief Minister Tarun Gogoi on Monday expressed serious concern over NSCN(IM) leader Th Muivah’s remark that integration and sovereignty were the “core issues” of the agreement. “Muivah’s statement is a matter of serious concern. He is still insisting on greater Nagalim and said that the sovereignty issue is still open. By not making the agreement public, the Centre is creating more confusion,” he said at a press conference. “Assam and the people at large welcome the peace agreement, but all concerned have the right to know which direction it is moving,” he said. “Whatever be in the agreement, I have already made it very clear that Assam will not accept any interference with its territory,” he said. 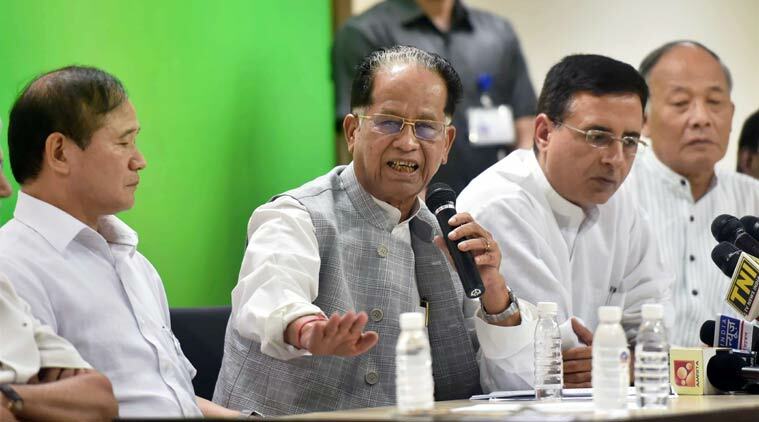 Gogoi also criticised Prime Minister Narendra Modi over his silence on the issue. “It is strange that the PM is completely silent on the issue. He himself termed the agreement historic, but did not talk anything about it on his Independence Day speech. The PM is not even talking about the framework. Our simple question is that whether the framework includes Nagalim?” he said. The Chief Minister also said that during the dialogue process, the Centre-appointed interlocutor R N Ravi did not meet him.